Millions of women gained eye-opening insights about the inner lives of men in their personal lives through Shaunti Feldhahn’s best-selling book For Women Only. Now with For Women Only in the Workplace, Feldhahn brings her innovative research approach to the workplace to help women understand their male colleagues. Based on a nationwide survey and confidential interviews with thousands of men whose anonymity was guaranteed, her book reveals the private thoughts and attitudes that men rarely disclose but every woman needs to know. Even women who have navigated male-dominated work environments for years have expressed surprise at these and other revelations in the book. Some readers may find them challenging. Yet For Women Only in the Workplace delivers a one-of-a-kind opportunity for women to understand how male bosses, colleagues, subordinates, and customers privately think, and why they react the way they do. These vital insights enable each woman to make informed decisions in her unique workplace situation. 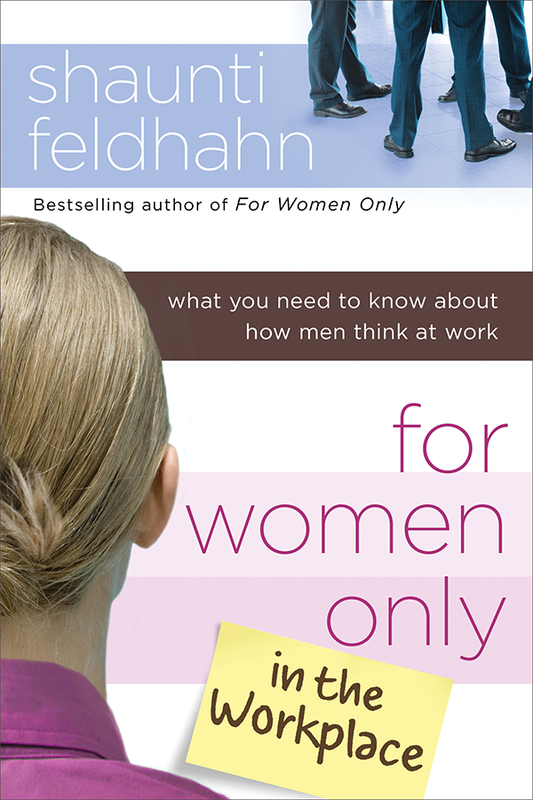 In this Christian edition, Feldhahn builds on the same research and information as in the general-market edition, but speaks directly to the interests and questions of women of faith, whether their workplace is a part-time ministry or a Fortune 500 corporation. This edition also delivers invaluable advice from senior Christian women who have broad experience in dealing with these questions, understand and share the reader’s values, and want to help other women achieve the best possible work relationships. For Women Only in the Workplace is full of practical recommendations for women who want to maximize their impact in a workplace full of male counterparts, and is a must-read for women in leadership. If you’ve ever interacted with a male colleague, boss, or employee, and wonder, ’Why did he respond that way?’ this book will provide answers. Shaunti Feldhahn has done it again! Revealing, insightful, but most of all unapologetically realistic, she shares in her latest offering, For Women Only in the Workplace, what women need to know in order to navigate through the workplace victoriously. The unwritten rules can no longer be ignored because Shaunti has spelled them out with crystal clarity. A must-read. For Women Only in the Workplace is filled with practical research-based insights on how men view women in the workplace—insights you can use immediately to reach your professional goals faster and thrive in the work place. If you find yourself confused by how your male boss or co-workers think or act, Shaunti Feldhahn peels back the layers to help you understand what’s really going on. Candid and revealing, For Women Only in the Workplace is a wise read for professional women. Valorie Burton, author of What’s Really Holding You Back? and How Did I Get So Busy? If you’re a woman in business and want to advance your career in a man’s world, this is a must read. You will leap-frog your career by knowing and applying what’s in this book.